Darlene J. 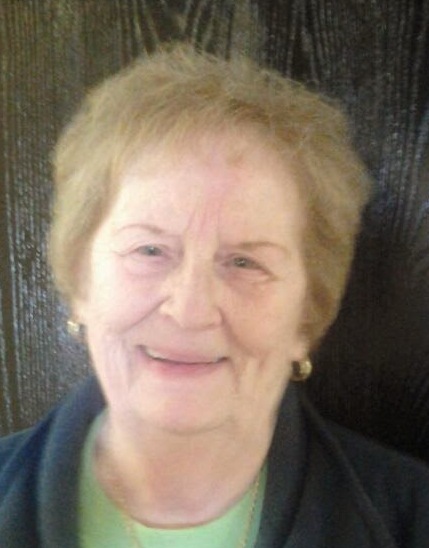 (Hawk) Twiss, 80, of Fremont, OH passed away at her home on Thursday, November 15, 2018. She was born February 22, 1938 in Fremont, the daughter of LeRoy E. and Helen A. (Sieger) Hawk. She was a 1956 graduate of Fremont Ross High School. Darlene married Maurice “Frank” F. Twiss on June 17, 1973 in Fremont and he preceded her in death on June 28, 2010. She was a member of Trinity United Methodist Church in Fremont. Darlene was an Avon Sales Representative for twenty-three years where she was the #1 salesperson in the area for numerous years and won many trips. Darlene estimated she sold $3.5 million in her career and retired in 2003. She was an avid Elvis Presley fan traveling to Graceland numerous times. She enjoyed reading, doing puzzles and loved her dogs Gigi and Peanut. Darlene is survived by her daughters, Sherry Jones, Melissa “Missy” Smith, Robin (Twiss) Kalil, all of Fremont, OH; step sons, Robert Twiss of Kentucky and Richard “Rick” Twiss, Fremont, OH; siblings, Joyce Sattler, Sandia, TX and Leah Ochs, Fremont, OH; grandchildren, Angie Wax, Racheal Tate, Gabrielle, Cassie, Alexxander “AJ” Kalil, Justin and Timmy Twiss, great grandchildren, Brandon, Dakota, Brandon, Coraleen, Alontae, Mirajah and Dasani; her special dog, Peanut. She was preceded in death by her parents and husband, Maurice “Frank” F. Twiss; grandsons, Bobby and Nick Twiss. Visitation: Sunday, November 18, 2018 from 2 to 4 and 6 to 8 p.m. at Wonderly Horvath Hanes Funeral Home, 425 E State St., Fremont, OH. Graveside Service: Monday, November 19, 2018; 11:00 a.m. at Dana Cemetery, County Rd 358 south of State Route 20, Green Creek Township. You have my deepest sympathy on your loss. Darlene was so good to Vic and I when we lived next door. She will be missed. Our sincere condolences to Joyce, Robin, and to all who loved Darlene! We enjoyed being her friend, and neighbor! Wish we could be there for her memorial! So sorry for your loss, may Darlene rest in peace. Grandma will be missed very dearly. Wish me and the family could make it. Thinking of your family right now at this difficult time. Darlene was a wonderful Avon lady and great friend! She would always give me friendly advice about many different subject areas ranging from raising children to hanging wallpaper. She was a wonderful person and will be missed. Our condolences to the family. Chuck worked with Frank at Sunshine Biscuit and we got to know Darlene through Frank. We liked both Frank and Darlene and will remember them both fondly. So sorry to hear about your loss. She will be missed by many. Our condolences to your family. May God bless you. So sorry for your loss. I remember Darlene from some karaoke nights. She was great company & I remember a big Elvis fan. Such a sweetie. Prayers for you to have God’s Grace to deal with the loss.